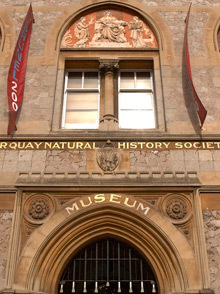 Each year, Torquay Museum benefits from the generous support of Society members, Corporate Partners, organisations and members of the public. Whether through volunteering their time and expertise, through fundraising, donating or working in partnership, our community of supporters and staff work tirelessly to develop all the different elements of our work - from collections care, exhibitions and research to educational activities, lecture programmes, community programmes and more. If you would like share your skills and interests with Torquay Museum, click here to find out about our volunteering opportunities. If you can help us through a donation or Society membership follow the links on the left to find out more.